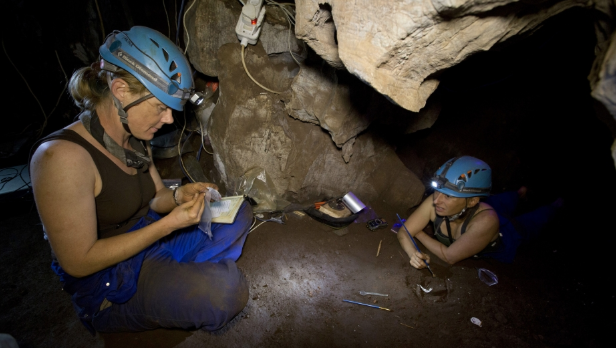 Head underground into the Rising Star Cave System in South Africa to meet members of the expedition team. This cave system was the site of an astonishing discovery of over 1,500 fossil elements of one of our human ancestors. In September, 2015 they were identified as belonging to a previously unknown early human relative that expedition leader Lee Berger and team named Homo naledi. There are still many more fossils to be uncovered and new fossils from a second cave chamber have been revealed. Join in to learn about this incredible find and see the fieldwork in action!